Cassandra Whitehead | Where are the models of ANTM now? Cassandra Whitehead was a contestant on Cycle 5 of ANTM. Cassandra is an American actress, model, and beauty pageant queen from Houston, Texas. Cassandra attended Texas A&M University-Corpus Christi where she was a member of the Gamma Phi chapter of Delta Delta Delta sorority. She competed in the Miss Texas Teen USA pageant from 2002 to 2004. 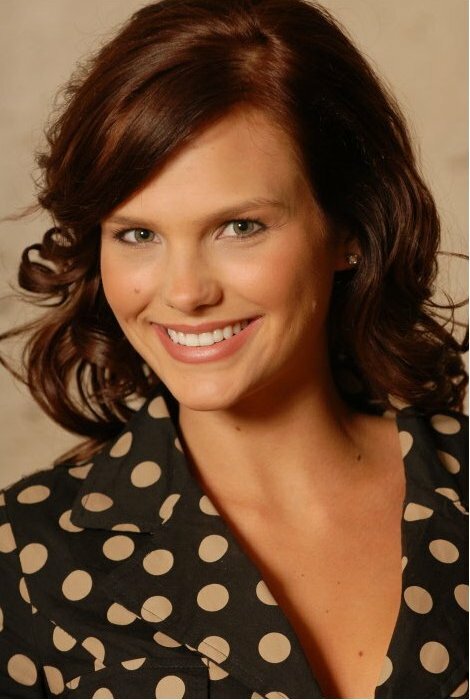 She was a semi-finalist in both 2003 and 2004, and held the local title Miss Houston Teen USA in 2003. 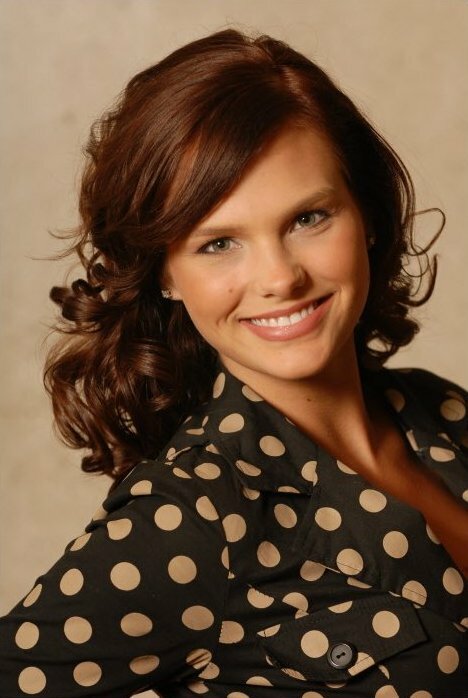 In these pageants, she competed alongside future Miss Texas USA Lauren Lanning (2006) and Magen Ellis (2007). In 2005, Jean (as Cassandra Whitehead) won the Miss Corpus Christi crown (a title held by Eva Longoria in 1998) and making the top 10 at Miss Texas USA 2005 (a title held by Eva Longoria in 1998) and made the top 10 at Miss Texas USA 2005. Jean competed in the Miss California USA 2008 pageant but was disqualified due to her appearance on America’s Next Top Model. The following year she was a judge for the Miss Newport Beach pageant. Cassandra was chosen to compete on the UPN reality television show America’s Next Top Model, Cycle 5 but quit the competition during the fourth episode. She became emotional during the makeover episode, wherein her long, dark brown hair was cut extremely short and dyed blond. During the next judging round, host Tyra Banks was still not pleased with Whitehead’s haircut, wanting to make it even shorter but Cassandra refused. Claiming that the producers gave her one night to consider her options, she walked out the following morning. She was recently voted one of the most memorable contestants by AOL entertainment Cassandra made an appearance in The Cycle 5 Reunion, America’s Next Top Model: Where the Girls Are, and America’s Next top Model: Exposed. Cassandra appears in the films Fast & Furious (2009) and 2 Dudes and a Dream (2009). She has had guest roles on several TV shows including One Tree Hill, Pushing Daisies, The Middleman, CSI: Miami, CSI: Crime Scene Investigation, Las Vegas, Hannah Montana, Twenty-Four Seven (MTV) and America’s Next Producer (TV Guide Network). Cassandra hosted Lucky Strike’s Bowl for a Cause, MySpace and Tommy Lee’s Super Bowl XL Event, Miss Corpus Christi 2006, America’s Next Top Model Diva Dish along with “Red Carpet Makeovers” for the Tyra Banks Show. She also appeared on the game show 1 vs. 100 on February 15, 2008, winning $500,000. Since the show, she’s changed her name Cassandra Jean. She’s now represented by Aloe Entertainment. To view more photos of Cassandra, click here. That short blonde hair they gave her looked like a mess. Thank God she dyed it back. It did look a mess but God, I hated her that much I laughed. But it was unfair to force her into the makeover. Her makeover was one of the worst ever!! Sad that she decided to leave, but she really didn’t looked good with that cut. Yeah, they messed her up only because she loved her hair. LOL. And it was long. Sometimes they do things for effect. I did not like her that much, but I agree that it was quite unfair to force her into that makeover. I think there are a lot of short-haired blondes out there; they shouldn’t have done that. It was quite clear that they have wanted her out of the competition; long brown hair suits her much better. I felt sorry for her! Got to disagree, the short hair was spectacular. The long brown hair is forgettable. Her face looked amazing framed by that short hair (when it was styled correctly). I totally agree that long brown hair made her look common, while the short blonde hair made her look edgy and better. Thank you. Th short blonde cut made her so edgy, it was gorgeous. The short hair was really good on her. Now she just looks plain and doesn’t stand out. The short hair was really good on her. But she didn’t understand it. Even if she did let them cut her hair again it wouldn’t have mattered because she doesn’t have the personality that they’re looking for. Lisa got eliminated for her “arrogance” even though she was clearly the best so it was only a matter of time for Cassandra to get eliminated! Why do they make models growl and scream? It looks ridiculous. I like her better with long hair, but she looked okay with short too. I liked that she compared herself to a serial killer or whatever. That made me like her. I worked with this girl at a Mexican restaurant a year before she went on the show. She was always very friendly and quirky. I was upset they did that to her. She was much better than the other girls. She got fat; her face is twice as wide. I saw Cassandra on the GSN network’s replay of the game show, Lingo (I have no idea of the original telecast date). When she introduced herself she talked of being a beauty queen from Texas, etc. Her partner, described as her best friend, was a girl she met after moving to California who was also from Texas. Her her was long and dark. In my opinion, she wore the short blonde hair style much better than this “natural” look. Secondly, what I saw was a “know it all” girl who kept feeding wrong spelling answers to her partner! Thus, I’m surprised to see in the bio above that she won 1 vs 100. Maybe she’s better at trivia than spelling! She was right to object to a style that did not suit her. I think she is beautiful enough to pull off the short hair, but the ugly yellow haircolor they forced on her did not complement her skin tone. It made her look very sallow. It is so unfair to force the contestants to choose between being “difficult” and looking wrong. Had she accepted the terrible makeover, she would have been sent home for not looking “memorable” in her photos. It is one thing for a director to ask a model to adopt a particular style for one photo shoot; it is quite another to base the outcome of a career-making contest on an inappropriate, capricious styling choice. I really hated her…She obviously loved her hair more then anything. She isnt even that pretty. When you want to be a model, the look you get is what the client wants not what you want. Don’t these girls realize what a valuable opportunity they’ve been given. Duh! They act like their hair isn’t going to grow back. “Unfair”??? LOL what bunch of ignorami. That’s modeling, you don’t like it, get out. The short hair rocked and it was money. personality sucked. Wouldnt yours if they did that to you? I normally don’t like super short hair, but that blonde Mia was awesome on her. What a shame she couldn’t have just gone along for the ride…bet she could have rocked that look. Her long brown hair makes her look like any other pretty girl in the food court. She is not a model. She’s a pageant girl and maybe an actress. But even looking wt the photos now, she just was not in her right field. She looks like a typical Texas housewife. Bo…ring! She’s just not a top model material, so if she prefer her usual hair then so be it. But she shouldn’t participating at all from the beginning if it is so, there are lots of girls with more passion and potential that deserve the chance. Yeah. This is not only the modeling world but the entertainment business as a whole. Eva (cycle #3) said it ‘ you are a commodity’ and ‘ a brand’; you do what they want you to do if you want to be successful and work. These girls are given a once in a lifetime opportunity. Don’t they sign a contract? It should be obvious after reading the contract that you are signing your life away. Besides, she has competed in pagents before- you don’t think they tell you what you can and cannot do? Most contestants have coachs that tell them what is going to win that title. Pagents are typically “big hair” but if they changed what will win- trust me she would be cutting her hair short or shaving her head. It’s just a matter of how bad you want the career. FYI- I thought her short and blonde cut made her look edgy and her face beautiful because her bone structure stood out. Do you really think they make these changes to the girls just for kicks? Cassandra was so annoying! Her hair was hideous either way and she had a pathetic attitude, I wasn’t sorry to see her go..
if only makeover had gone right then she would have looked fabulous! 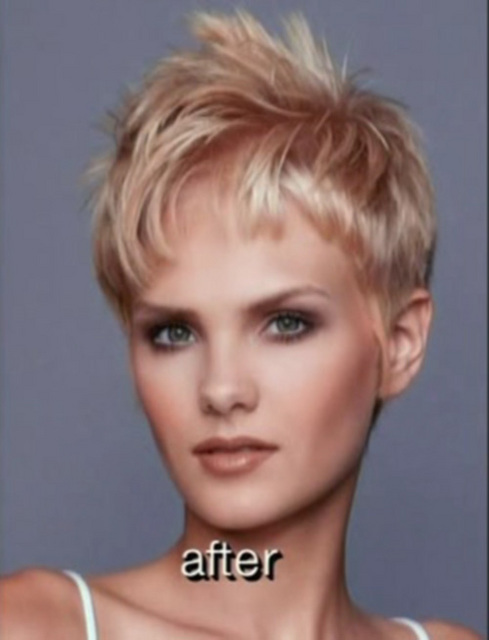 they got the haircut wrong.. tyra was gunning for mia farrow ‘do. if you compare her makeover and mia’s haircut… is soooooo different. i even think the shade of blond was wrong. You guys are nuts. The short blonde style made her look edgy, memorable and MODELESQUE. The hair she came in with just makes her look like a forgettable girl next door. Wow!I now know why stephen is crazy!Cassandra,u r gr8.Stay pretty.